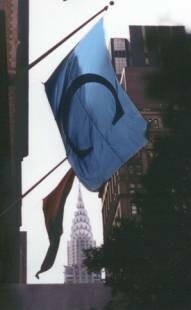 Welcome to the 23rd issue of the Columbia College Class of 1963 eNewsletter. Thankfully Global Warming has relented at least for a few days to remind us that Winter still exists. I know some of you have explored our new Class of 1963 web site, www.cc63ers.com. Admittedly there is not much here yet, but I'm hoping that all of you will contribute your photos, notes, and long stories soon. I promise I will start to flesh out the Columbian section as soon as I have a free moment (some of us can not afford to stop real work and retire). I intend to add separate pages for each classmate, and will add these as I receive a contribution from you (or you attend one of our Class of 1963 lunches). You can always email me at pauln@helpauthors.com. Please join your classmates for an informal lunch at the Columbia Club every second Thursday of the month. It is our hope that these gatherings will renew old friendships and foster improved relationship with our class and the College. I hope you can all join us at the next lunch on Thursday, February 8. Let me know if you will attend so that we can reserve a big enough table; RSVP to Paul Neshamkin (pauln@helpauthors.com). We returned to our regular "average" lunch numbers in January. 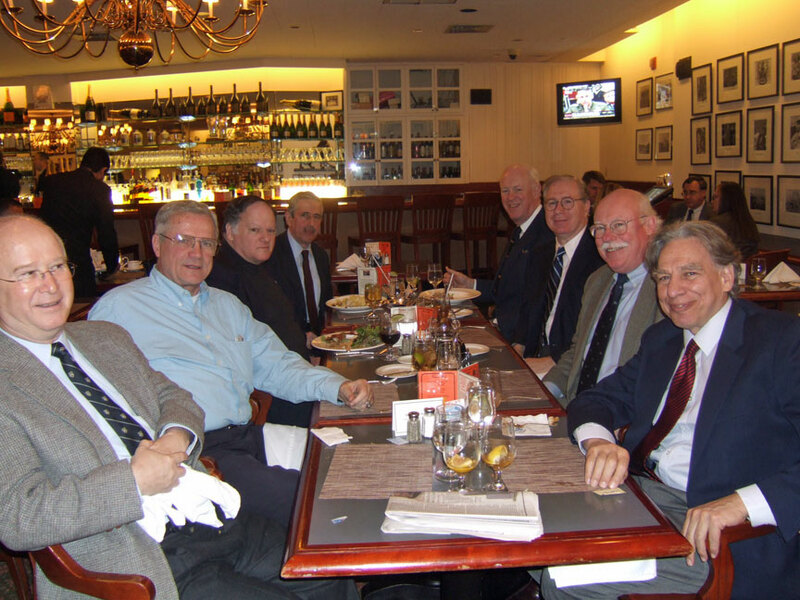 The eight who attended included returnees: Jerry Dwyer, Doron Gopstein, Paul Neshamkin, Larry Neuman, Tom O'Connor, Walter Stein, Jeff Thompson, and first-timer Joe Applebaum. Joe came up from Washington with his wife, Phyllis (who joined some of us later for a trip to Alexander Hamilton's grave site, see notes below) where he has been an actuary with the Government Accounting Office for many years. Paul amused the group by showing various Columbia memorabilia inculding his Class of '63 Freshman Beanie (in pristine condition) and a book of matches from the old Lion's Den in the basement of John Jay Hall. (From left to right) Jerry Dwyer, Tom O'Connor, Walter Stein, Doron Gopstein, Jeff Thompson, Joe Applebaum, and Paul Neshamkin. and Larry Neuman. Continuing last month's experiment, I will add notes as they are received, so please send me some. As you can see the cupboard is bare. Then come back later this month and visit this page to see if any one has sent in some new additions. Please send in your notes and pictures, and I will add them immediately. After January's class lunch, several of us heading down to Wall Street on the Lexington Ave. No. 5 to visit Trinity Church and Alexander Hamilton's grave. The occassion was the 250th anniversary of his birth, and Jerry Dwyer had read in the New York Sun that descendents of Hamilton and fans were gathering that afternoon to pay their respects. Jerry Dwyer, Joe Applebaum, his wife, Phyllis, and Paul Neshamkin attended with what was a surprisingly small group. Remarks were made by clergy representing Trinity Church and members of Hamiltons family (one of which bore a striking resemblence). Here are some pictures of the event. (D-IL) put it, science has attained a high priority status along with veterans and highways. Finally, I am stepping down as CCNY Physics Chairman after six and a half years, during which I hired ten new faculty members, saw research grant support double and undergraduate physics enrollment grow by more than 100 percent. The ball is now in my successor's court."